Finnegan Chrysler Jeep Dodge Ram invites you to learn more about the iconic and fearless 2019 Jeep Wrangler in Rosenberg, TX. Explore all the specs and options of this iconic and fearless compact SUV. When you hear the word ‘Jeep’®, most likely you have the Wrangler in mind. For many people, Wrangler IS Jeep just like the 911 IS Porsche. For 2019, the Wrangler Unlimited MOAB is the culmination of more than thirty years of improvement, or virtually 80 years if you count its indirect beginnings as a World War Two workhorse. Historically referred to as a tough off-road trailblazer, the 2019 Jeep Wrangler Unlimited MOAB is still the off-road king but adds in refinement to make those treks a lot more comfortable. The standard Wrangler is still powered by the 3.6 L V6 engine but now there is likewise a Turbocharged 4-cylinder offered for much better gas mileage. Style-wise, serious Wrangler enthusiasts will instantly see the changes, but casual Jeep followers could easily miss them. That’s all by design as Jeep’s engineers wanted to honor the past but also embrace the present. Make no mistake, even though this is one of the most polished Wrangler ever, at its core, it’s still a Jeep. Years ago, Wrangler and technology weren’t exactly comfortable together. The original Jeep was developed to be straightforward and rugged, but with today’s priority on innovation, the 2019 Jeep Wrangler Unlimited MOAB has risen to the occasion. Now outfitted with features like a digital instrument cluster, 8.4-inch touchscreen audio, and navigation, the 2019 Jeep Wrangler Unlimited MOAB is all set to take on everything modern driving can put in front of it. Want to learn even more about the 2019 Jeep Wrangler in Rosenberg, TX? 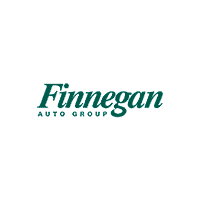 Visit Finnegan Chrysler Jeep Dodge Ram online, in-person, or call us to schedule a test drive.